Nota : Jumlah penerbitan adalah berdasarkan dari tahun pertama berkhidmat di UKM. N. Misran, R.Cahill and V.F. Fusco. (2003). RCS Reduction technique for reflectarray antennas. - IEEE Electronics Letters. 39(23):1630-1632. Misran, N., Cahill, R., and Fusco, V.F.. (2003). RCS reduction technique for reflectarray antennas. - Electronic Letters. 39(23):1630-1632. N. Misran, R. Cahill and V.F. Fusco. (2003). Concentric split ring elements for dual frequency reflectarray antennas. - IET Electronics Letters. 39(25):1776-1777. N. Misran, R.Cahill, and V.F.Fusco. (2003). Design optimisation of ring elements for broadband reflectarray antennas. - Proc. IEE Microwaves Antennas and Propagation. 150 (6):440-444. Mardina Abdullah, Ahmad Faizal Mohd Zain, Norbahiah Misran dan Desmond Koh. (2006). Pembangunan laman pelayan aktif (active server page) untuk pemaparan maklumat satelit GPS. - Journal of industrial technology - SIRIM. 13(1):101-118. Ahmed Toaha Mobashsher, Mohammad Tariqul Islam, Norbahiah Misran. (2010). Design Analysis of a Dual Frequency RFID Reader Antenna. - International Review of Electrical Engineering. 5(4):1838-1847. Mostafa W. Numan, Mohammad T. Islam, Norbahiah Misran, Mohd Alauddin M. Ali. (2010). A Matrix Factorization Based Channel Estimation Technique for FPGA Implementation of Multiple Antenna System. - International Review of Electrical Engineering. 5(4):1853-1861. M.T. Islam, A. T. Mobashsher and N. Misran. (2010). Design of microstrip patch antenna using novel U-shaped feeding strip with unequal arm. - IET Electronics Letters. 46(14):968-969. Ahmed Toaha Mobashsher, Mohammad Tariqul Islam, Norbahiah Misran. (2010). A Novel High-Gain Dual-Band Antenna for RFID Reader Applications. - IEEE Antennas and Wireless Propagation Letters. 9:653-656. Rezaul Azim, Mohammad Tariqul Islam, Norbahiah Misran. (2010). A Planar Monopole Antenna for UWB Applications. - International Review of Electrical Engineering. 5(4):1848-1852. Rezaul Azim, Mohammad Tariqul Islam & Norbahiah Misran. (2010). Printed Planar Antenna for Wideband Applications. - Journal Of Infrared Millimeter And Terahertz Waves. 31(8):969-978. Mohammad Tariqul Islam, Ahmed Toaha Mobashsher and Norbahiah Misran. (2010). Small Multi-band Microstrip Antenna for Wireless Applications. - IEICE Electronics Express. 7(21):1629-1634. Mohammad Tariqul Islam, Ahmed Toaha Mobashsher, and Norbahiah Misran. (2010). A Novel Feeding Technique for a Dual Band Microstrip Patch Antenna. - IEICE Trans. Communication. E93-B(9):2455-2457. Mohammad Tariqul Islam, Ahmed Toaha Mobashsher, Norbahiah Misran. (2010). Coplanar Waveguide Fed Printed Antenna with Compact Size for Broadband Wireless Applications. - Journal of Infrared, Millimeter, and Terahertz Waves. 31 (12) , pp. 1427-1437. M.N. Shakib, M. Tariqul Islam, and N. Misran. (2010). High gain W-shaped microstrip patch antenna. - IEICE Electronics Express. 7(20):1546-1551. Fares Sayadi, Mahamod Ismail, Norbahiah Misran, Kasmiran Jumari, Mardina Abdullah. (2009). An efficient hybrid detection algorithm for a full rate quasi-orthogonal prolonged MIMO MC-CDMA systems. - Proceeding 2009 IEEE 9th Malaysia International Conference on Communication (MICC 2009), Kuala Lumpur Malaysia. .
Mohammad Tariqul Islam, Mohammed Nazmus Shakib, Norbahiah Misran, Baharudin Yatim. (2009). A stacked patch antenna for ultrawideband operation. - 2009 IEEE International Conference on Ultra-Wideband (ICUWB 09). .
Nurul Shazana Abdul Hamid, Geri Gopir, Mahamod Ismail, Norbahiah Misran, Alina Marie Hasbi,Mark Dennis Usang, Kiyohumi Yumoto. (2009). The hurst exponents of the geomagnetic horizontal component during quiet and active periods. - 2009 International Conference on Space Science and Communication, IconSpace;Port Dickson, Negeri Sembilan. .
Alina Marie Hasbi, Mohd Awad Momani, Mohd Alauddin Mohd Ali, Norbahiah Misran. (2009). The relationship between ionospheric and magnetic disturbances during the 28 March 2005 Sumatra earthquake. - 2009 International Conference on Space Science and Communication, IconSpace; Port Dickson, Negeri Sembilan; Malaysia. .
Mohammad Rashed Iqbal Faruque, Mohammad Tariqul Islam, Norbahiah Misran. (2010). Evaluation of EM absorption in muscle cube with metamaterial attachment.  - 9th WSEAS International Conference on Telecommunications and Informatics (TELE-INFO'10). .
Jamil Sultan, N. Misran, M. Ismail, M. T. Islam, and H. Mohamad. (2010). Performance evaluation of macro diversity handover technique for multi-hop relay cellular networks. - Proceedings 16th Asia-Pacific Conference on Communications (APCC2010), Auckland New Zealand. .
Afida Ayob, Norazreen Abd Aziz, Norbahiah Misran. (2010). Penilaian Prestasi Pendidikan di Institusi Pengajian Tinggi. - . 100. Mohammad Rashed Iqbal Faruque, Mohammad Tariqul Islam & Norbahiah Misran. (2010). "Computers And Simulation In Modern Science" (Volume Iii). - . Ch:5, 57-66. Mohammad Rashed Iqbal Faruque, Mohammad Tariqul Islam & Norbahiah Misran. (2010). "Computers And Simulation In Modern Science" (Volume IV). - . 6: 63-72. Azami Zaharim, Norbahiah Misran, Norngainy Mohd Tawil, Nizaroyani Saibani, Manal Ismail, Suraya Sharil, Anuar Mikdad Muad dan Wardah Fatimah Mohamad Yusoff. (2014). 10 Tahun Pendidikan Kejuruteraan dan Alam Bina UKM. - . 152. Md. Samsuzzaman, Mohammad Tariqul Islam, Norbahiah Misran. (2018). Broadband Patch Antenna for 5G Mobile and Wireless Communications. - . 53. Mohammad Tariqul Islam, Mohammed Nazmus Shakib, Norbahiah Misran. (2010). Broadband Antenna for Wireless Communication System: The art of microwave antenna design technique for modern wireless communication. - . 96. Mohammad Tariqul Islam, M. W. Numan and Norbahiah Misran. (2010). Mimo Channel Estimation For Fpga Implementation: Performance and Complexity Improvement of MIMO Channel Estimation for Xilinx Virtex-4 FPGA. - . 108. Suparta, W., Mohd. Ali, M.A., Yatim, B. Misran, N.. (2007). A new method for correlating solar activity and terrestrial climate using GPS sensing at Antarctica. - 3rd Malaysia International Seminar on Antarctica (MISA), Kota Kinabalu, Sabah, Malaysia. .
Hafizah Husain, Norbahian Misran, Salina Abdul Samad, Aini Hussain dan Siti Salasiah Mokri. (2008). Sistem pemantauan prestasi pelajar JKEES. - Seminar Pendidikan Kejuruteraan dan Alam Bina 2008 (PeKA 2008). .
Seri Mastura Mustaza, Farizah Ansarudin, Aida Baharuddin, Mohd Syuhaimi Abd. Rahman, Azah Mohamed, Norbahiah Misran, Muhd. Fauzi Aminuddin Shazi, Norfadzilah Abdullah, Junaidah Damri. (2008). Buletin JKEES Sept 2008. - . .
Sultan J., Ismail M., Misran N.. (2008). Downlink performance of handover techniques for IEEE 802.16j multi-hop relay networks. - 4th IEEE/IFIP International Conference in Central Asia on Internet, ICI 2008. . A.M. Hasbi, M.A. Mohd. Alauddin and N. Misran. (2008). TEC Irregularity, Scinttillation and Geomagnetic Variations Associated with the 28 March 2005 Sumatran Earthquake. - The 12th International Ionosphere Effects Symposium, Alexandria. .
GUP-2018-050 synergy healthtech sdn. bhd. Nota : Maksimum 5 Bidang Kepakaran yang terkini dipaparkan.